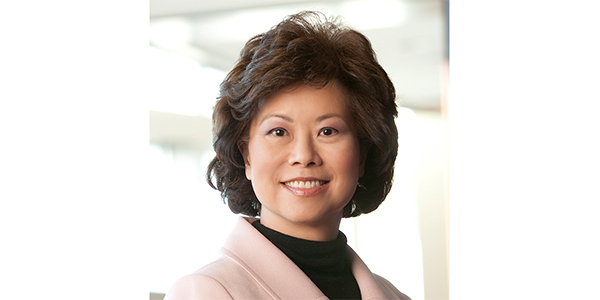 U.S. Transportation Secretary Elaine Chao is making the case for the Trump administration’s plan to incentivize state, local and private stakeholders to spend as much as $1.3 trillion by providing $200 billion in federal dollars over 10 years. She testified March 1 before the Senate Environment & Public Works (EPW) Committee, and is set to appear March 6 at the House Transportation and Infrastructure Committee. The reaction among Senate EPW Committee members was mixed at best. Several Democrats pointed out the plan calls for $200 billion in new direct federal spending, while the administration’s budget includes over $200 billion in cuts to existing federal infrastructure spending programs. They also expressed skepticism about how $200 billion could leverage 6.5 times that amount in non-federal spending. Chao tried to ignore the budget as something not related to the infrastructure plan or under her jurisdiction. Republicans focused mostly on the permitting and project delivery reforms proposed in the plan, as well as parochial transportation issues ongoing in their states. They did not discuss the administration’s budget conflict or question the plan’s leveraging potential. See ARTBA’s summary of the Trump administration’s infrastructure package and budget proposal. EPW Committee Ranking Member Tom Carper (D-Del.) opened the hearing by recalling his conversation with President Donald Trump at a Feb. 15 White House meeting on infrastructure. Carper claimed at the time the president supported a 25 cents per gallon increase in the federal motor fuels tax. The White House would only say that it is keeping its options open. Sen. Chris Van Hollen (D-Md.) pressed Chao on whether Trump supports such an increase. Chao said the question is better answered by the White House directly. She said she wants to work with Congress on the pending insolvency of the Highway Trust Fund (HTF). She did not offer any solutions. Comments earlier in the week from Senate Majority Whip John Cornyn (R-Texas) about possibly not having enough time in 2018 to consider an infrastructure bill were walked back by Carper, who said Cornyn told him the comments were taken out of context. Sen. Dan Sullivan (R-Alaska) went a step further in the hearing, saying he thinks the Senate should work nights and weekends in order to get a much needed infrastructure package done this year. ARTBA will continue pushing for a robust infrastructure package, one that should include a permanent Highway Trust Fund fix as its main component.